Petah Tikva (“Opening of Hope”) is also known as Em HaMoshavot (“Mother of the Moshavot”). 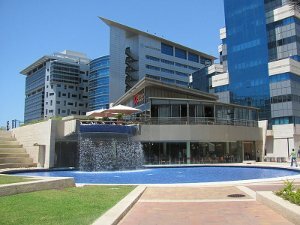 It is a city in the Center District of Israel, 6.59 miles (10.6 km) east of Tel Aviv. In 2009 the city’s population stood at 209,600 people. 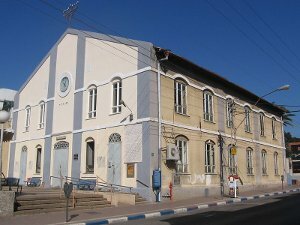 Petah Tikva was founded in 1878 by religious pioneers from Europe, who were led by Yehoshua Stampfer, Moshe Shmuel Raab, Yoel Moshe Salomon, Zerach Barnett, and David Gutmann, as well as Lithuanian Rabbi Aryeh Leib Frumkin who built the first house there. It was the first modern Jewish agricultural settlement in Ottoman Palestine (hence its nickname as “Mother of the Moshavot”) and has since grown to become one of Israel’s most populous urban centers. Originally intending to establish a new settlement in the Achor Valley, near Jericho, the pioneers purchased land in that area. However, Abdülhamid II cancelled the purchase and forbade them from settling there, but they retained the name Petah Tikva as a symbol of their hopes and dreams. Undaunted, the settlers purchased a modest area (3.40 square kilometers) from the village of Mulabbis, near the source of the Yarkon River. The Sultan allowed the enterprise to proceed, but because their purchase was located in a malarial swamp, they had to evacuate when the malaria spread. They then founded the town of Yehud near the Arabic village Yehudiyya about 12 miles (20 kilometers) to the south. After the creation of the State of Israel in 1948, several nearby villages – Amishav and Ein Ganim to the east (named after the biblical village (Joshua 15:34)), Kiryat Matalon to the west, towards Bnei Brak, Kfar Ganim and Mahaneh Yehuda to the south and Kfar Avraham on the north – were merged into the municipal boundaries of Petah Tikva, giving it a significant population boost to 22,000 people.